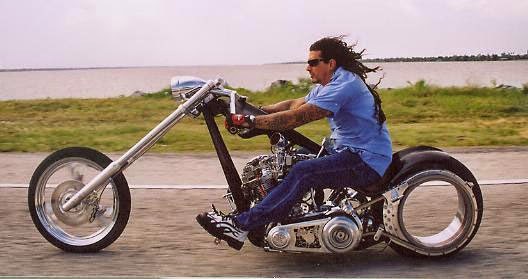 Orlando, Florida - Famed bike builder Billy Lane is a free man and a married man. Congratulations to Billy & Erin on your new life together as Husband & Wife...!!!.. 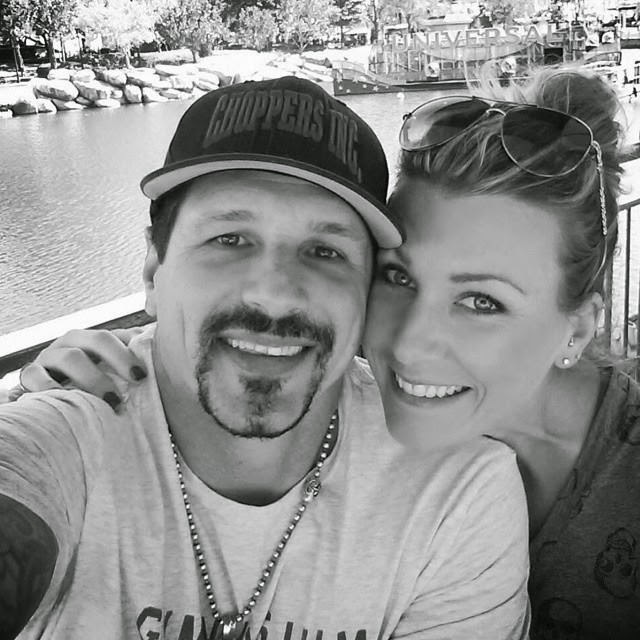 Billy was released on Sept. 19, 2014 after satisfying a 6-year prison sentence on a drunk driving, vehicular homicide charge that resulted in the death of a fellow biker in 2009. 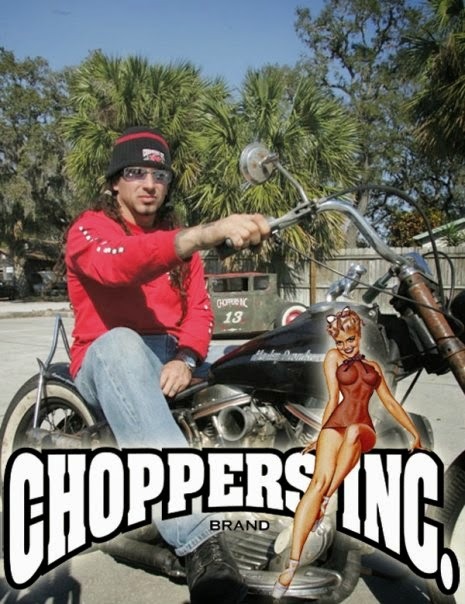 The Choppers Inc. builder from Melbourne, Florida has been working here in Orlando at Global Motor Werks as part of an Avon Park work-release program. He will remain on probation for three years. Billy Lane holds seven US patents on motorcycle parts and accessories and has authored two books, an autobiography, Billy Lane's Chop Fiction: It's not a Motorcycle, Baby, It's a Chopper (2004) and Billy Lane's How to Build Old School Choppers, Bobbers and Customs (2005.) He also holds an Associate in Science degree in Mechanical Engineering from Florida State University as well as a Bachelor in Science degree in Mechanical Engineering from Florida International University. 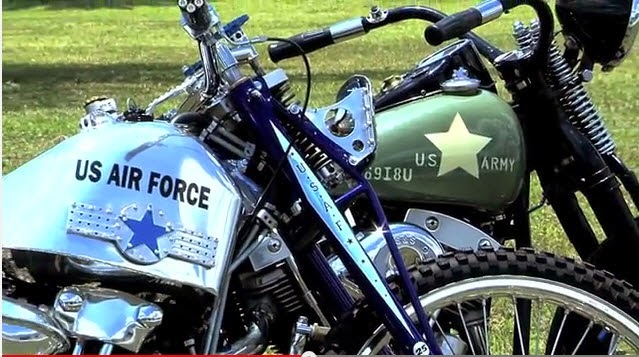 Billy Lane built this beautiful Air Force tribute bike that was unveiled May 25, 2012 in Washington DC. It joined 4 other tribute bikes, each representing a branch of the Armed Services. "I hope you can see through all the hard work put into this Air Force bike how much we appreciate all of your service and hard work," Billy said, addressing the men and women of the Air Force. "That's why I chose a 1930's Speedway racer. It represents incredible speed. It's lightweight and it's obviously the fastest of the five bikes out there." You can reconnect with Billy Lane at the Facebook - Choppers Inc. page, which has been managed by his sister, Georgia since the Melbourne shop closed in 2009.
to your ride and rally friends! Biker Art, Biker Music, Key Biker Events, Worldwide Touring, Bike Shows, Motorcycle Charity Rides & Events, Biker-Friendly Destinations - Arizona, Daytona Beach, California, Laconia, Sturgis, EICMA Milan Bike Show, Bike Week Europe, H.O.G. Bike Rallies & World Tours - To Advertise call MJ at 1-386-848-5556 or email: lois.lane327@gmail.com.